ICT4D: Facebook opens an office in Colombo, Sri Lanka? Facebook opens an office in Colombo, Sri Lanka? What you see on the picture is a tiny shop in capital of Sri Lanka. 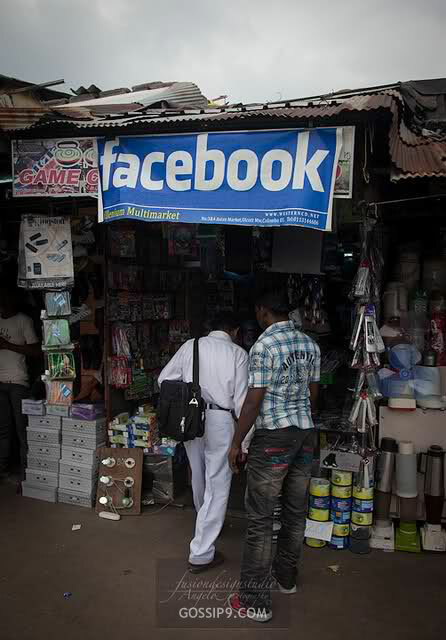 The shop owner has named his shop as “Facebook”. What made him to do that? Sri Lanka is a country with an area of 65,610 km2 and population of 21,283,913 (by 2011). As per International Telecommunication Union (ITU) reports, there were 1,776,200 Internet users as of Jun 2010, a penetration of 8.3%. Though the impact is debatable, Facebook has become a term which is good enough to name an IT shop on the corner of the street. Thanks for the numbers. Was wondering for sometime if there were any people who did not use FB apart from myself. Anywho I'm pretty sure that 49.7% of the population that are not of FB consist of people who are over 35/40? anyway of getting the age demographics? I will get the age demographics for you soon. Sorry guys, I should have mentioned the source before you asked that.